The coolest event in the art department calendar took place on November 28, with artists from all fields, such as Concept Art, 3D Art, and Marketing Art brought together for one colorful night. The colorful shindig began at 7 PM at the Hamburg Eiskeller, which the event team rigged with UV lights to jazz up the occasion. 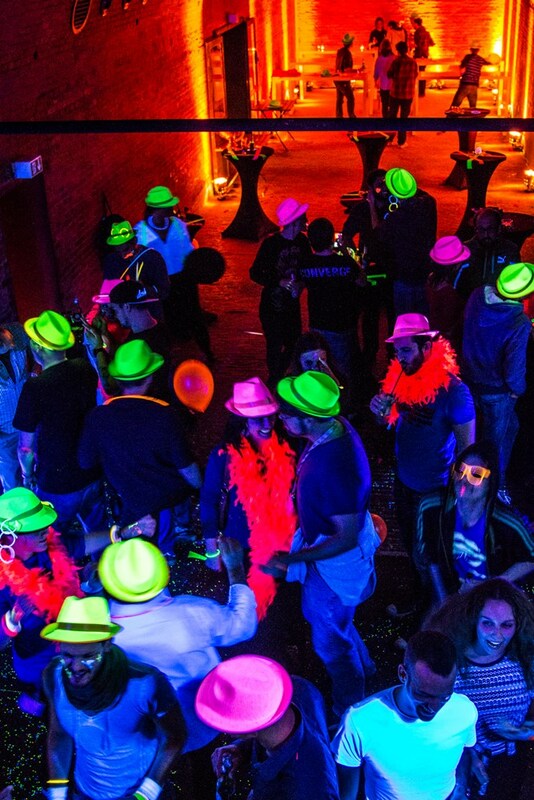 During the drinks reception, all participants donned neon attires and accessorized them with uber cool bright hats, glowsticks, feather boas for a glamorous touch. For our Lead Vector Artist, Laurent, it was a great opportunity to bring the entire art team together. 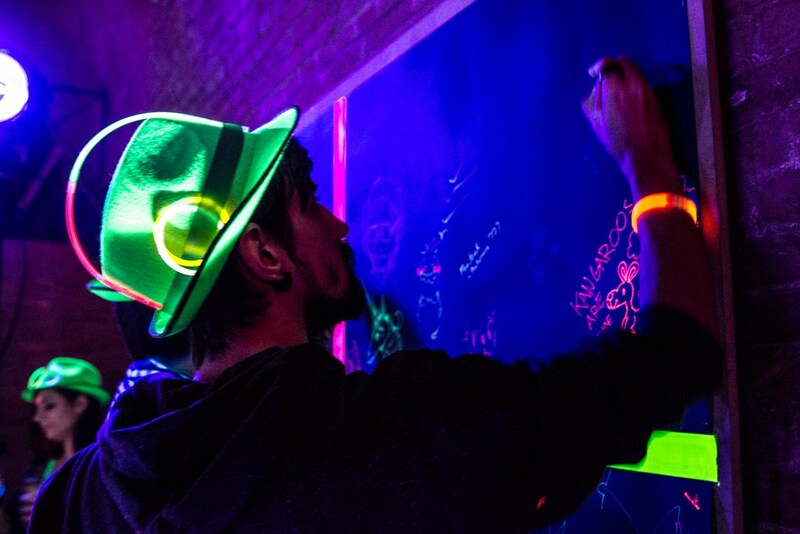 With the aim of letting our artists’ creativity run wild, we set up a large black canvas where they could make their neon mark. 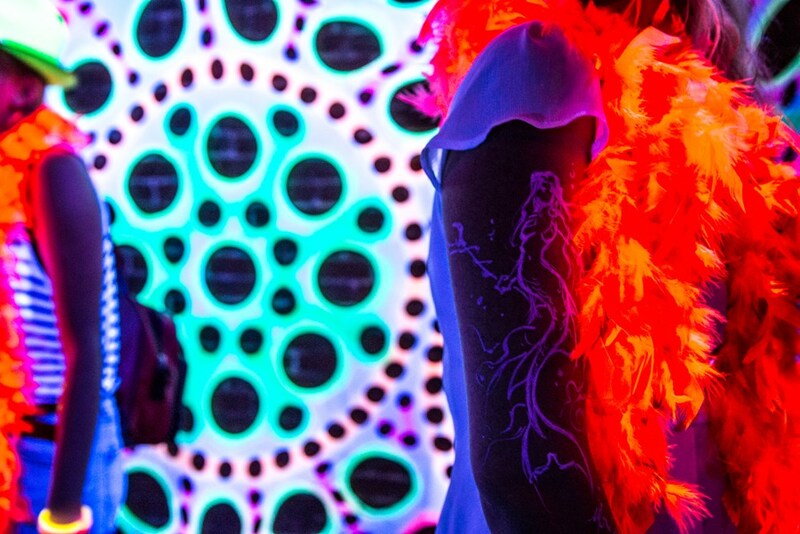 The canvas was extended to their arms and faces, with vibrant neon body paint designs seen on every party-goer. These wonderful works of body art included everything from dragons to mermaids. Alongside delicious cocktails and good music, the party offered a great opportunity for the now more than 180-person team to reconnect.